Picking up a certified pre-owned, or CPO, car can take much of the worry out of buying a used car and save you some serious cash. At least that’s what the smiling salesperson at the dealership tells you. Is it really worth the extra $750 to $2,500 over the sticker price of a run-of-the-mill used car, though? After all, you’re buying used because you don’t want to spend the money on a brand-new ride. Why dish out the extra dough? As it turns out, certified pre-owned is well worth the initial investment, no matter what kind of car you’re buying. According to James Bell, editor and publisher of Intellichoice, you may pay a little more in the beginning, but cost savings in the form of vehicle repair and a small nudge in the resale department help to offset those costs. Plus there’s the added benefit of peace of mind, and that’s hard to put a price on. Bell says that economy car buyers can expect to pay somewhere between $750 -1,500 more for a certified pre-owned vehicle versus a similar, non-certified car. Luxury buyers, on the other hand, can expect to shell out a little more when it comes time to buy. If you’re in the market for something with a little more prestige, get ready to hand over $1,500-2,700 over the cost of a comparable used vehicle. The difference is in the quality of the product. “It varies a little from program to program, but usually certified pre-owned cars are no more than four or five years old with 60-70,000 miles on them,â€ Bell said. They also haven’t had any significant damage or repairs in their history and have been subjected to an intense inspection process with over 100 specific points. Manufacturers are so certain their CPO cars are worth what they’re asking, companies offer extended warranties for the vehicles, much like a brand new car would receive. It’s that warranty that makes the whole process worth it. If you buy a used car from your neighbor down the street and three months later the transmission falls out on your driveway, odds are you’re going to be stuck with the bill. That’s not the case with a certified car, as most extended warranties cover significant drivetrain failure. Of course, there are other benefits to buying a certified pre-owned car. The biggest of these is the fact that the car you’re buying has already gone through a significant amount of its depreciation. Most sources say a new car loses 20 to 40 percent of its value in the first two years of being off the lot. That’s no small chunk of change, but it means that waiting around a few years for the car you’re after could save you on average $12,000 on what was a $40,000 car. Talk about a smart move. 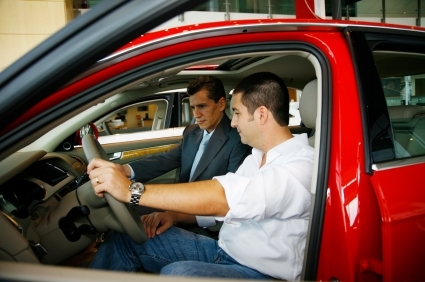 Manufacturers have also made it easier to get financing for a certified pre-owned car versus a standard used model. Last but not least, there’s the resale factor. We know it’s probably going to be a good long while before you turn around and sell your certified pre-owned car, but when that time does come, Bell says you may get a pleasant surprise. Bell also said that a big factor in this area is whether or not the CPO warranty is transferrable if you sell the car. If it is, you can wager a higher asking price for the ride when it comes time to let it go. It probably won’t be enough to cover the initial investment for the certified car over a non-certified example, but a couple of extra hundred dollars isn’t out of the question. Be aware that not all certification programs are the same, nor are the warranties they carry. For more information, you can check out DriverSide’s articles on CPO cars or hop over to Intellichoice to compare multiple programs side by side.